Kursen är fullbokad och anmälan är stängd! Härmed bjuder vi in till första mötet för Svenskt Forum för Integrativ Cancervård i syfte att öka kunskapen om pågående svensk och internationell forskning och praxis inom fältet komplementärmedicin/integrativ cancervård. Vilka komplementärmedicinska metoder har potential att förbättra vården för svenska cancerpatienter? Var ligger de stora forskningsutmaningarna idag? Hur kan forskningen utformas för att möta patienters och professionens behov? Vi har glädjen att kunna presentera några av de mest framstående forskarna inom fältet som kommer att ge oss en överblick av området nationellt och internationellt. Bland annat kommer ordföranden för Society for Integrative Oncology, chefen för det integrativmedicinska centret vid Memorial Sloan Kettering Cancer Center och ledaren vid Institutet för komplementär- och integrativmedicin vid universitetssjukhuset i Zürich. Föreläsningarna kommer att varvas med modererade diskussioner och de forskande deltagarnas presentationer av egna projekt. 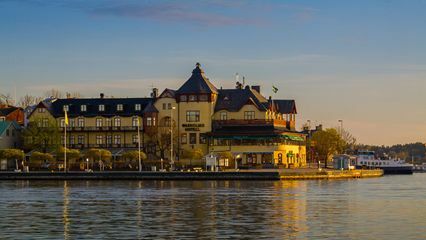 Vi bjuder på kost och logi på Waxholms hotell för att ge utrymme för möten och nätverkande. Claudia M Witt, MD. MBA is tranied as medical doctor, epidemiologist and research methodologist. Being a full professor at the University of Zurich she serves as Vice Dean for Interprofessionalism and as the Director of the Institute for Complementary and Integrative Medicine at the University Hospital Zurich. Furthermore, she holds an appointment as Professor of Family and Community Medicine at the Center for Integrative Medicine, School of Medicine at the University of Maryland and leads a research group at the Institue for Social Medicine Epidemiology and Health Economics of the Charité – Universitätsmedizin Berlin. She is a Board Member of the Society of Integrative Oncology (SIO) in the United States. In her outpatient clinic for Complementary and Integrative Medicine at the University Hospital Zurich she mainly sees cancer patients. Dr Lynda Balneaves is an Associate Professor in the College of Nursing, Rady Faculty of Health Sciences at the University of Manitoba, located in Winnipeg, Canada. She is also president, SIO. Previously, she has held academic positions at the University of Toronto and the University of British Columbia. Her research program has focused on the use of complementary therapies in the context of cancer and the development and evaluation of knowledge translation and decision support interventions for individuals living with cancer and oncology health professionals. She also engages in health policy and access research related to medical and non-medical cannabis. Jun J Mao, MD, MSCE, Laurance S Rockefeller, Chair in Integative Medicine, Chief Integrative Medicine Service, Memorial Sloan Kettering Cancer Center. Dr Jun J Mao is the Chief of the Integrative Medicine Service and the Laurance S Rockefeller Chair in Integrative Medicine at Memorial Sloan Kettering Cancer Center. Dr Mao is a board-certified family physician and a licensed acupuncturist who combines western and eastern apporaches to manage pain and symptoms in cancer patients. Dr Mao’s program of research focuses on investigating the effects, mechanisms, and integration of Complementary and Integartive Medicine (CIM) for symptom management in cancer. He has received extensive peer-reviewed funding from the National Institutes of Health in the US and has published over 100 peer-reviewed research manuscripts in top oncology journals such as the Journal of Clinical Oncology, Cancer, European Journal of Cancer, and the Journal to the National Cancer Institute. He is the immediate post president of the Society for Integrative Oncology, and international organization with nearly 500 members from over 20 countries dedicated to the science and integration of evidence-based complementary approaches in conventional cancer care. Prof. Alex Molassiotis, RN, PhD. 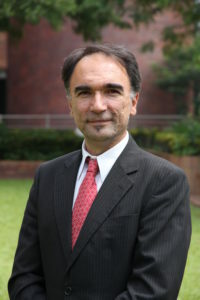 Professor Molassiotis is currently the Chair Professor of Nursing, Endowed Professor in Health & Longevity and Head of School of Nursing, The Hong Kong Polytechnic University. He is also the Director of WHO Collaborating centre at the Polytechnic University, the only centre with such focus in south east Asia. He is also the Editor-in-Chief of the European Journal of Oncology Nursing. He has been a Bloomberg International Distinguished Visiting Professor at the University of Toronto and a Visiting Professor at the Australian Catholic University (Sydney), and the National University of Singapore. He is currently Visiting or Adjunct Professor at: Karolinska Institute, Stockholm, Sweden; University of Technology Sydney (UTS), Australia; Wits University, Johannesburg, South Africa; Fujian University of TCM, Zunyi Medical University, Zhuhai and Jiagnan University, Wuxi, China. He has over 240 international publications and several millions of dollars in research funding over the past years. His research focus is on complex symptoms and the development of interventions to manage chemotherapy-related symptoms, currently focusing on cancer-related fatigue, chemotherapy-related nausea and vomiting, peripheral neuropathies and cough/breathlessness in lung cancer. Torkel Falkenberg, BSc in Biology, PhD (Faculty of Medicine) in Pharmacology/Neuroscience, has an Associate Professorship in Health Care Research at the Karolinska Institutet. 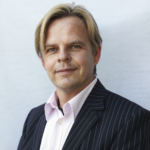 He is the research constellation leader for the Integrative Care research group constellation, Division of Nursing, Department of Neurobiology, Care Sciences and Society at Karolinska Institutet. His research collaborations, in low, middle and high income countries have resulted in several PhD theses, contributions to international guidelines, and efforts to inform the EU of strategic CAM research financing (CAMbrella). Torkel has been engaged as a consultant to health care planners and decision makers nationally and internationally, including the World Bank and the World Health Organization (WHO) which has resulted in several global WHO TM/CAM strategy reports. He is a member of the editorial board of several scientific journals. Kjell Asplund, Prof Emeritus, ordförande KAM-utredningen (S 2017:05). 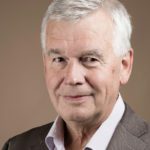 Professor emeritus i medicin vid Umeå universitet, tidigare bl a ordförande för SBU och generaldirektör för Socialstyrelsen. Efter pensionen bl a nationell cancersamordnare vid Socialdepartementet och utredare av Thomas Quick- och Paulo Macchiariniärendena. Sedan 2012 ordförande för Statens medicin-etiska råd. Styrelseledamot i Cancerfonden och Karolinska universitetssjukhuset. Statlig utredare av integrativ, komplementär och alternativ vård. På konferensen finns utrymme för 35 kursdeltagare. Principen först till kvarn gäller. Konferensen är kostnadsfri. Vid avbokning efter den 25 juli uttas en avgift om 1.000 kr. De som forskar inom området välkomnas att skicka in en sammanfattning om max 400 ord av en eller flera relevanta studier för presentation under mötet. Skicka in ditt abstrakt tillsammans med din anmälan senast den 5 juli. Sista dag för anmälan är den 5 juli. Mötet anordnas av Cancerakademi Norr i samarbete med Regionalt Cancercentrum Stockholm/Gotland. Välkomna till 1:a mötet med fokus på forskning kring komplementärmedicinska metoder vid cancer! Developments and Clinical Research in Integrative Oncology: Where Do We Stand, Where Should We Go?